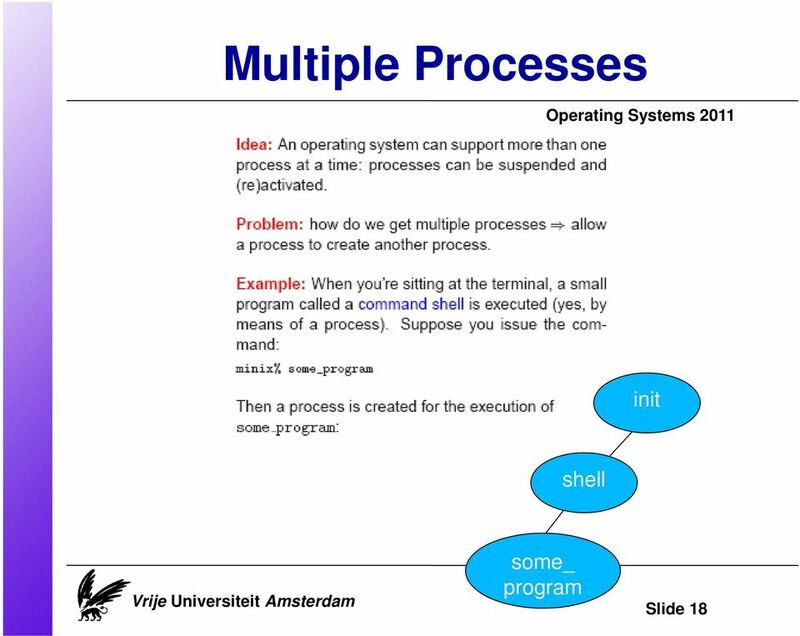 Download "Operating Systems. Design and Implementation. 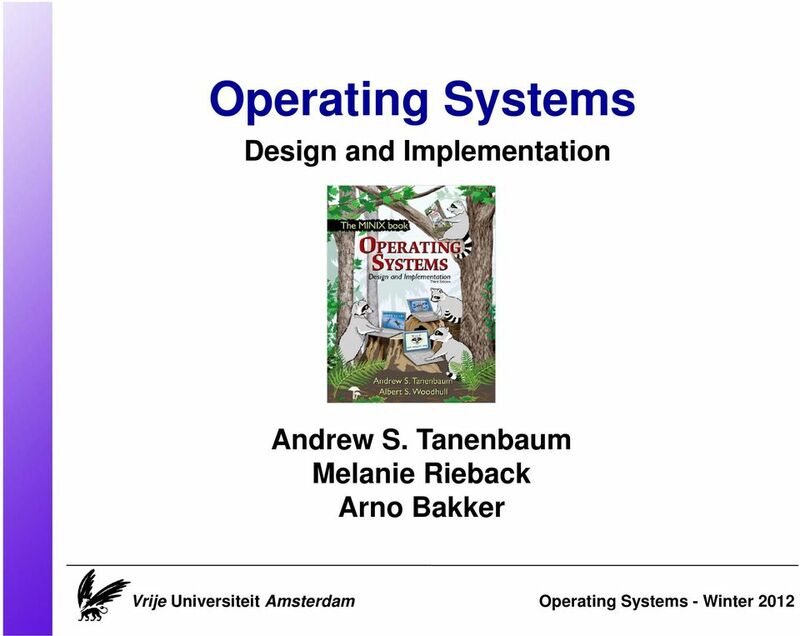 Andrew S. Tanenbaum Melanie Rieback Arno Bakker. 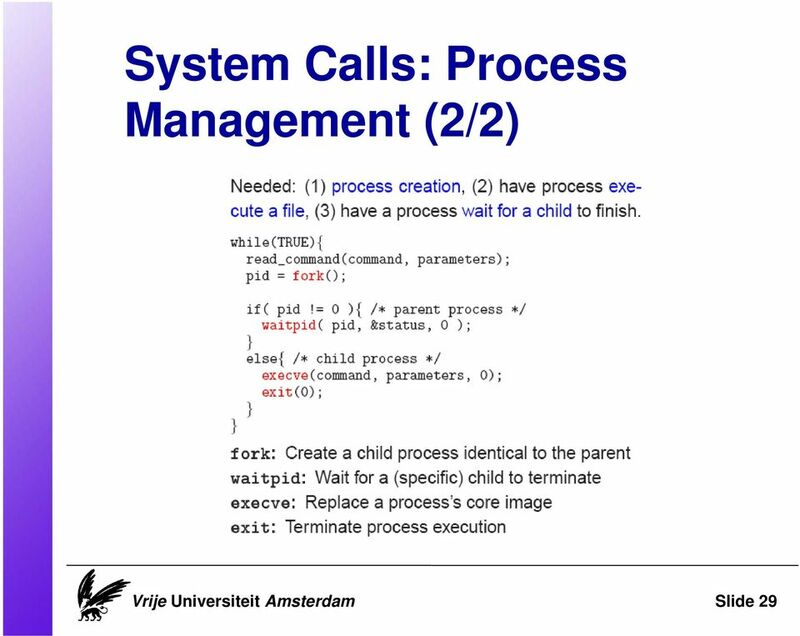 Vrije Universiteit Amsterdam"
Tools Page 1 of 13 ON PROGRAM TRANSLATION A priori, we have two translation mechanisms available: Interpretation Compilation On interpretation: Statements are translated one at a time and executed immediately. 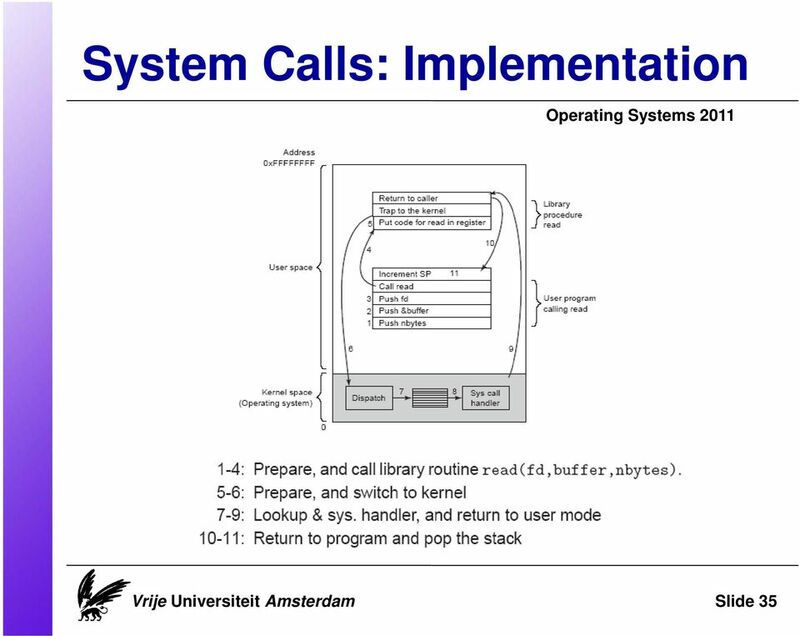 OpenVZ Linux Containers technology whitepaper OpenVZ is a virtualization technology for Linux, which lets one to partition a single physical Linux machine into multiple smaller units called containers. Objectives. 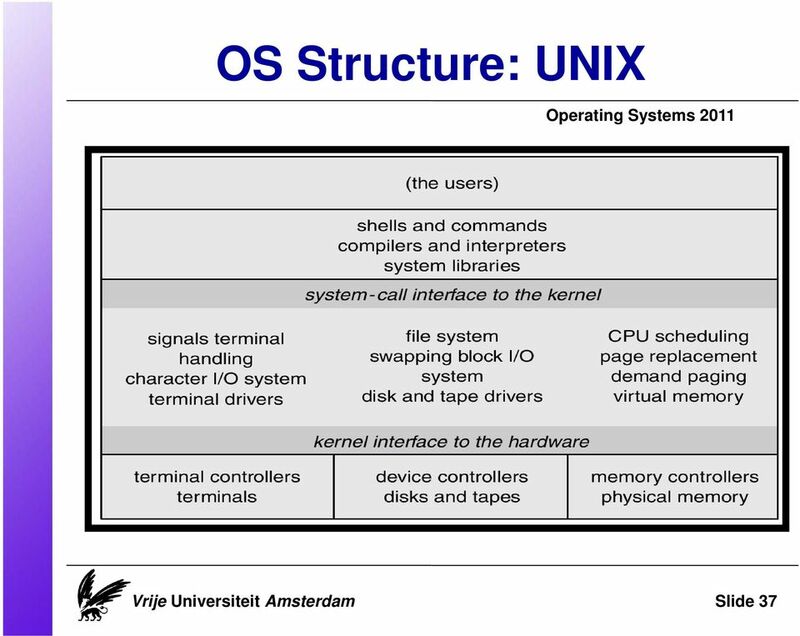 Chapter 2: Operating-System Structures. 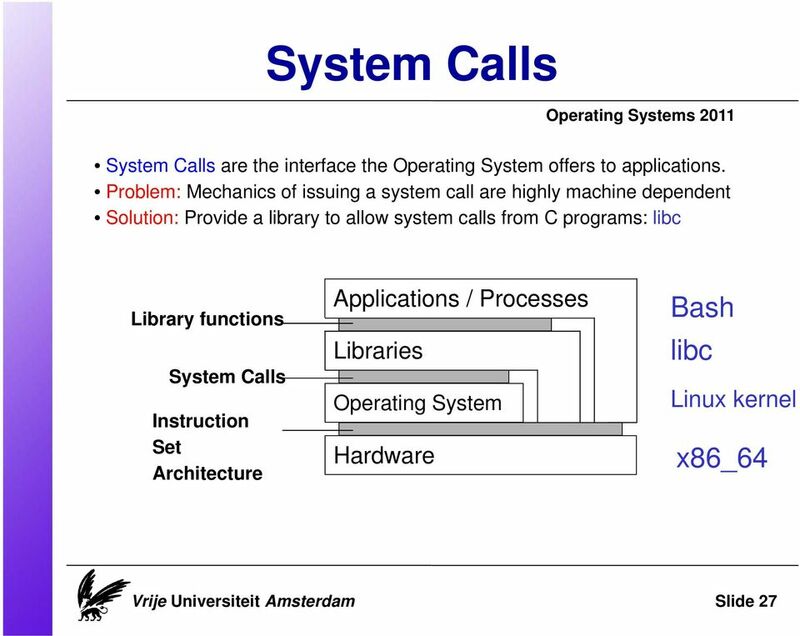 Operating System Services (Cont.) 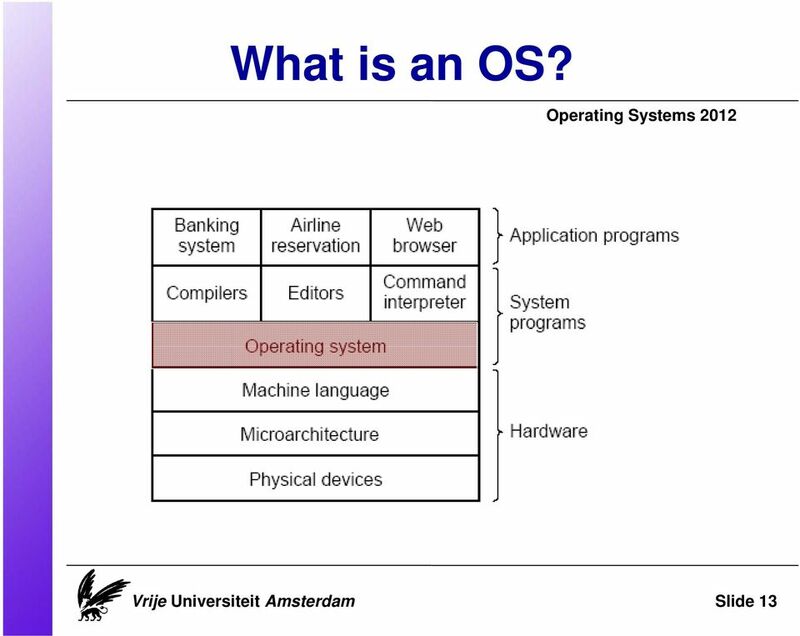 Operating System Services. 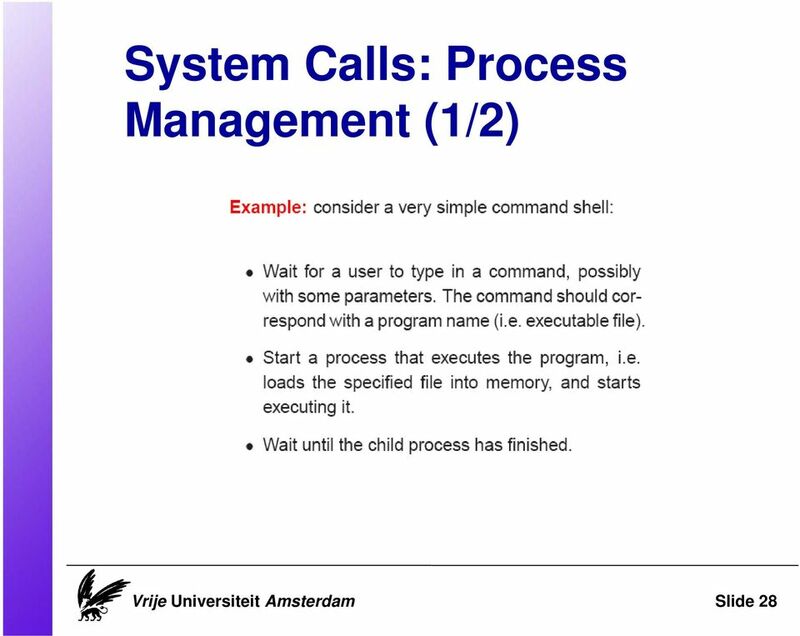 Operating System Services (Cont. 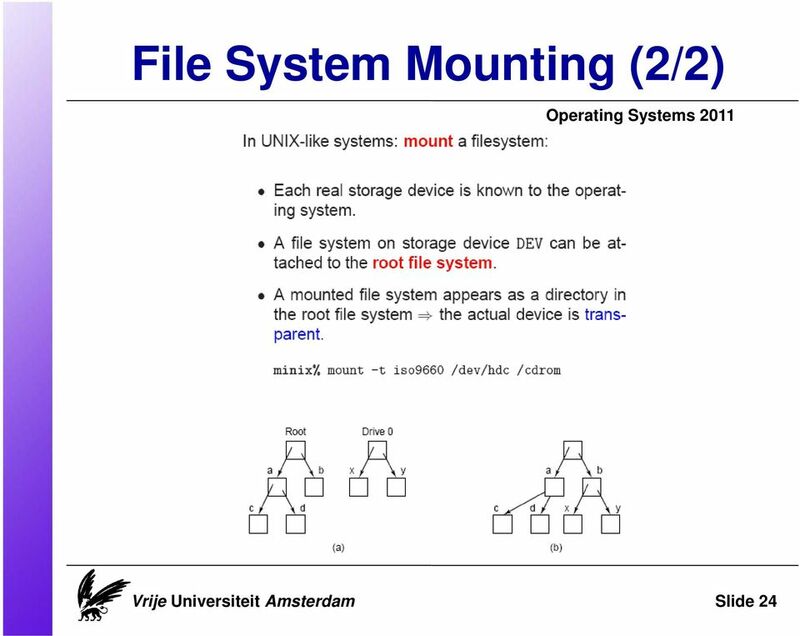 COSC243 Part 2: Operating Systems Lecture 25: Revision Zhiyi Huang Dept. 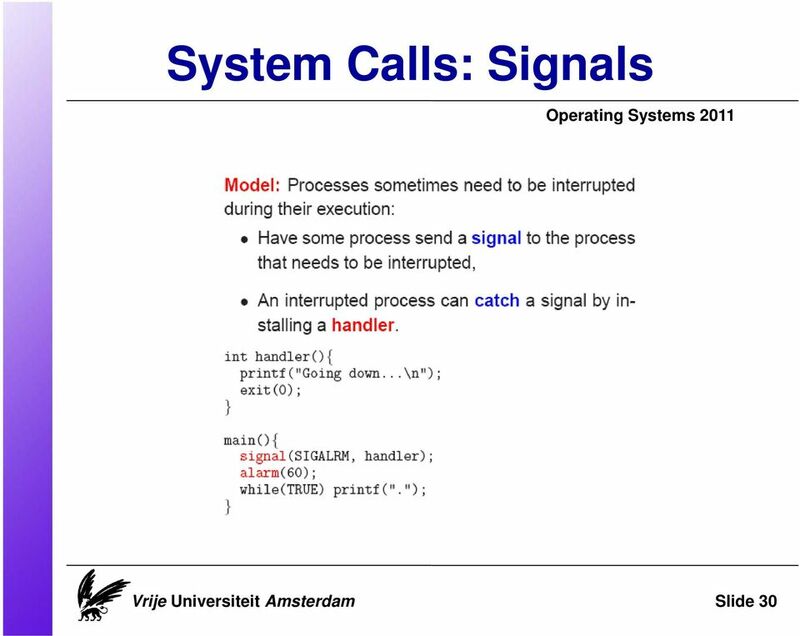 of Computer Science, University of Otago Zhiyi Huang (Otago) COSC243 Lecture 25 1 / 11 Overview What s going to be in the exam? A Comparison of Distributed Systems: ChorusOS and Amoeba Angelo Bertolli Prepared for MSIT 610 on October 27, 2004 University of Maryland University College Adelphi, Maryland United States of America Abstract. Date: December 2009 Version: 1.0. How Does Xen Work? 2. 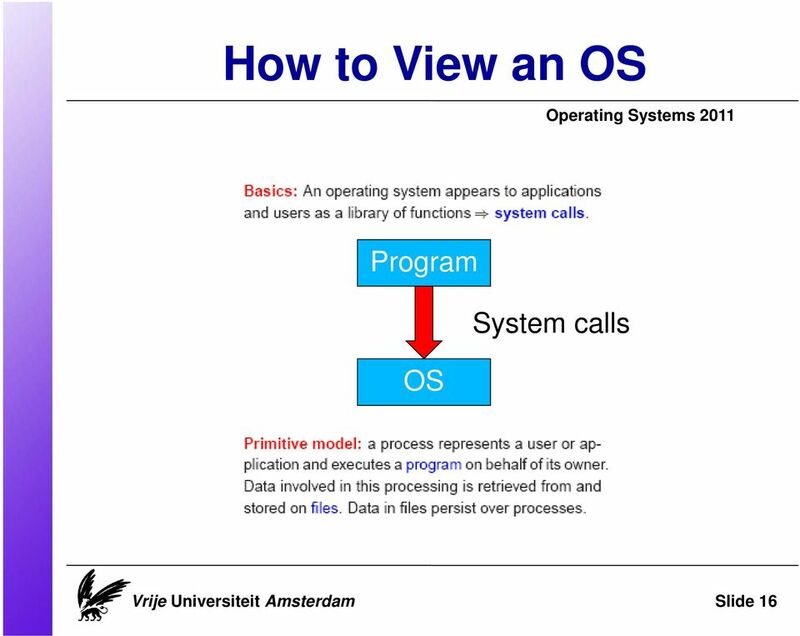 An Operating System, What For?